Why is the EDL so greedy for humble pie? The EDL was humiliated yet again last Saturday, when only a paltry 40 members turned up to demonstrate in Cambridge. The national press hardly seemed to notice whilst anti-racist commentators tried not to laugh. Some members of the broad coalition called We are Norwich took the EDL threat to civil society seriously enough to join other activists in Cambridge in protest against the racists of the far right EDL. 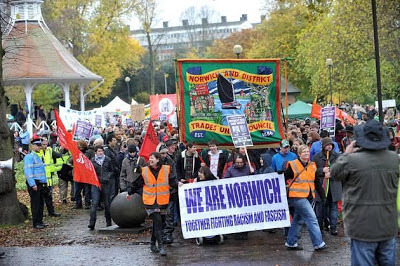 Concerned students and citizens from Norwich gathered under the We are Norwich banner together with members of trade unions, Norwich Pride, and Norwich Unite Against Fascism. They joined Cambridge groups against the EDL, including CUAF, Muslims, and fans of the English Disco Lovers (the good EDL). All were determined to defy the EDL merchants of hatred and division. Despite the humiliation of being so vastly outnumbered the EDL vowed to return to Cambridge in bigger numbers. How much more embarrasment can the EDL swallow? The English Defence League has vowed to return to Cambridge in bigger numbers – despite a low turnout and several arrests. Its rally on Christ’s Pieces on Saturday ended early after only about 40 members turned up. More than 400 officers were drafted in to police them and a counter-demonstration by Cambridge Unite Against Fascism which had more than 500 people in its ranks, according to police. EDL members said they were furious, claiming they were “penned in” during attempts to protest against a planned mosque in Mill Road. EDL members were heckled by passers-by and began to fight among themselves as their stewards tried to eject a man who had a “banned” Nazi banner. When counter-protesters marched past, with the two groups separated by a police “no-go zone”, one EDL member broke through but was quickly stopped by police. We are not thugs or extremists. We are the silent majority but we have been penned in like pigs while the police allow the lefties to march through the city. But we will be back in bigger numbers. The leaders are planning a national protest here in Cambridge. All we want to do is have a peaceful protest against a mosque that is not in keeping and will cause no end of traffic problems as it holds 1,000 but has just 80 parking spaces. We are not against Muslims. We are anti-Islam. They are just showing themselves up by their behaviour. They are a disgrace. EDL speakers hit out at MEP Richard Howitt for branding them “extremists”. There is only one group that represents everything in our society which is uncivilised and undemocratic. The traitors to Britain’s traditions of tolerance, fairness and respect – the true traitors – are the EDL themselves. They are a joke. As if Cambridge didn't have enough on its plate, Marine Le Pen, leader of the fascist Front National, (who may face charges for comparing Islamic prayers to the Nazi occupation) is due to speak at the Student Union on Tuesday. For more on this and the arguments around no platform, read this good (in my opinion) article from the Guardian. Some WAN activists are going to the counter-demo. If you interested in going, let me know - email address below. It's a week until a number of us will make the short journey from Norwich to Cambridge to stand up to the English Defence League. Many thanks for the support we have already had on this. Tickets have sold really quickly, people have sent money in on time and some people who cannot make it have donated to the cause and/or got money from union branches and community groups. 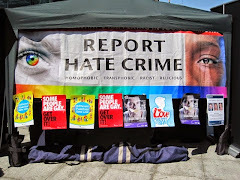 It shows that the spirit we had of working together in the lead up to our demo in November (last year's counter demonstration that humiliated the EDL in Norwich) is still there. There are very few spaces left - tickets £10 waged, £5 un-waged. Coach picks up at 9.45 am and gets back between 5/5.30 pm from a central Norwich location. Get in contact for more information or to book a ticket. Activists from Cambridge came to support us last year and well...it's another opportunity to humble the EDL when they are down. A reminder that the Football v Homophobia Football Tournament is next Sunday (24th February) at Carrow Park (next to the football ground). We are Norwich intends to have a team in this tournament which celebrates the life of Justin Fashanu, the only ever out gay footballer in this country, who played his best football at NCFC. Let me know if you would like to be in the mixed team. The matches start at 2pm. Protesters opposed to a far-right politician’s appearance at the Cambridge Union will demonstrate outside the building on Tuesday (19th February). 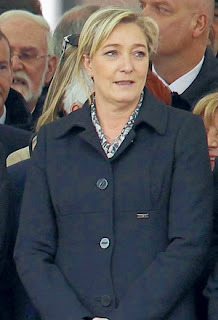 Marine Le Pen, leader of the French National Front, is set to speak at the debating society at 4pm, with demonstrators arriving in Bridge Street at 2.30pm. Her appearance is scheduled four days ahead of a demonstration by the English Defence League (EDL) in the city which will be opposed under the Cambridge Unite Against Fascism (CUAF) banner. I think the only thing that’s going to make the EDL demo a success is if they see their views being espoused at a respected university like Cambridge by somebody who is successful in their own country at promoting their policy. Hundreds of people have pledged on Facebook to turn out for the demonstration against the EDL on Saturday, February 23. We must keep up the pressure and keep showing solidarity with anti-racists and Muslim brothers and sisters. 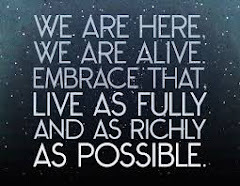 In the current economic climate . . . some will always try to blame minorities for all the problems. They would also try to divide our communities to turn us against each other. But now is the time for all minorities and white anti-racists to unite together and show them they would not win. Kevin Carroll, co-founder and joint leader of the EDL, said the organisation’s initials also stood for equality, democracy and liberty and he questioned what was fascist about defending democracy, freedom of speech and rights for women and homosexuals. The ‘no platform for Marie Le Pen’ event has been called by Unite Against Fascism and is supported by CUAF, Cambridge University Student UAF and the National Union of Students’ Black Students’ Campaign. Whilst many are wondering who in Cambridge thought it such a good idea to invite the nasty racist Marine Le Pen to speak, We Are Norwich (WAN) is already gathering a group together to protest at such a naive publicity stunt. Representatives from WAN will be protesting on Tuesday 19th despite the short notice. The peaceful counter demonstration against the EDL march on Saturday 23rd has been arranged for some time and promises to be well attended, but more support is always welcome. If you would like to ask about joining either or both protests, email norwichuaf@gmail.com who will have advice on issues such as transportation and rallying points. Click here for the Facebook link. More information on the planned counter demonstration is here. Lifelong anti-fascist, trade unionist, photographer for the Movement in Wales and later playing a key role in Norwich and the Eastern region and a reader and supporter of Searchlight. 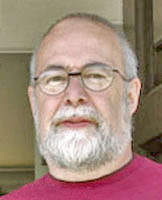 We were honoured to have him as a friend and comrade and valued our last meeting with him at TUC 2012. Our thoughts are with Geraldine and his family and friends. Sid’s work will stand as a great testament to his life and his great warmth and humanity will remain with us when remembering him. 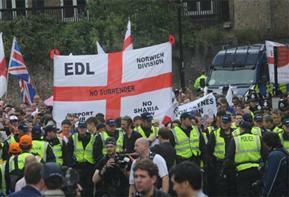 The English Defence League (EDL) is planning another march in Cambridge, according to campaigners. 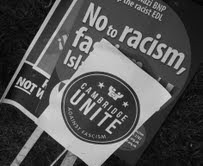 A “massive” counter demonstration has already been planned by Cambridge Unite Against Fascism (CUAF). More than 670 officers policed an EDL march in the city in July, 2011. Our head office has information that has been confirmed by the EDL that they will march in Cambridge on February 23. We have organised a counter demo opposing the EDL and what it stands for. I urge all the decent people of Cambridge to attend this counter demonstration to show their opposition to racism. The painful austerity measures that working people are facing are not caused by immigrants or by Muslims but by the government and their friends in big business and the banks. 18 months ago we showed the EDL that they are not welcome here – let’s do it again. The EDL were unavailable for comment. Demand an end to violence against women worldwide - and DANCE! This is a trailer for the Norwich Rising event on V-Day - 14th February 2013 - when we will strike, dance, and rise with a billion women and those who love them around the world to demand an end to violence against women. Why 1 billion? Because the UN estimates that one in three women in Earth (that is, 1 billion women) will be raped or sexually assaulted in her lifetime. Here in Norwich we're aiming to inspire 20,000 women and girls (approximately one in three women who live in the City) and men and boys who love them to get up and dance on 14th February. The pressure is on but we are getting people on board every day, and we're marketing this virally through social media and word-of-mouth. For example, women are going to their dance tutors and spreading the word through dance classes, and the Chief Fire Officer emailed his staff to invite them to dance with him, which is pretty cool. We are in touch with women dancing all over the world via Twitter and Facebook. There is a campaign dance that people are learning all over the globe. You can watch it here. We're encouraging people to get together with friends and colleagues to learn the dance and we have set up some weekly rehearsals (6 pm at the Garage on Thursdays; 10 am at the Forum on Sundays), where people can meet up with others. We're going to have a mass dance outside the Forum in Norwich at 1 pm on 14th February and we are encouraging people to dance with us there or wherever they are and in whatever way they can. I'm going to be making a film about Norwich Rising and would love you to send me clips of you dancing to include in the movie. Future Radio 107.8 fm (www.futureradio.co.uk/listenlive) will be playing the Campaign song so people can dance with us in their homes, schools, and workplaces or wherever.